Leading Quality Trails-Best of Europe ! Leading Quality Trails – Best of Europe (LQT) is an evaluation and certification system offering clear set of quality criteria for walking trails throughout Europe. The label was established by the European Ramblers’ Association. The system enables to measure the attractiveness of trails in a consistent way and acts as a guarantee of a high quality walking experience. It has been designed with maximum flexibility, to capture the complex characteristics of different landscapes and trails, allowing for the variety and uniqueness of Europe’s diverse landscapes. It draws on many years of practical experience in countries that already use quality criteria in planning and improving their trail networks. 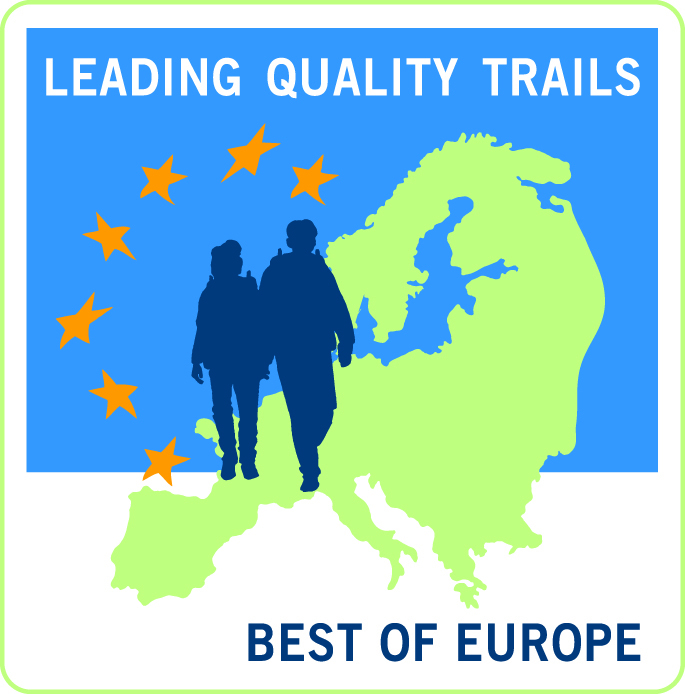 The certification Leading Quality Trails – Best of Europe allows walkers to identify high quality trails. with an existing network that are working to strengthen walking tourism. ecology as well as the social needs to achieve sustainable tourism development. Nature conservation, as well as appropriate maintenance and marking of the trail have to be guaranteed throughout the period of the certification. organisations have a total of over 3 million individual members. Most of the member organisations have more than fifty years’ experience in organizing and creating conditions to facilitate walking (path waymarking, walk leader standards, construction of huts, viewing towers, shipyards, campsites etc. ), and a number of them have been in existence for more than one hundred years (the oldest for more than 150 years). ERA cooperates on the cross-border meetings and walks, organises and supports walking events on the European level, an exchange of knowledges and a nature protection. ERA created 12 European Long Distance Paths crossing the whole Europe, which facilitate to connect people in Europe by walking and enjoying the nature. Finally, the program Leading Quality Trails – Best of Europe provides walkers with the walking on the high quality level.